In just ten minutes, restore appliances from coffee machines and steam irons to all types of kettles and even showerheads to their former glory! 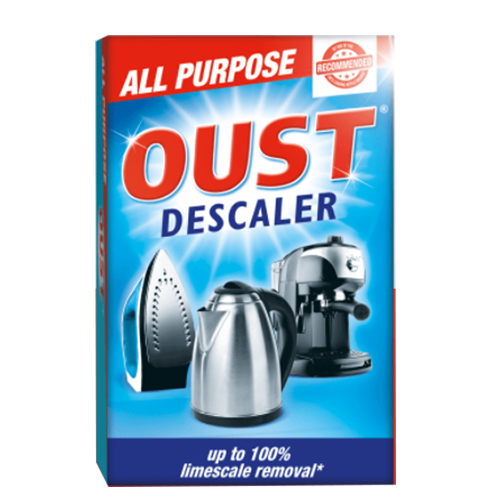 Oust All Purpose Descaler removes limescale leaving appliances clean, fresh and working more efficiently. Superfast action removes limescale deposits in just 10 minutes.